Hello! I’m excited to introduce Katie, who will be using a pocket Mode to plan an expedition for her Wildlife and Media program at University. Here’s Katie! Hello! My name is Katie and I will be documenting my travel planning, with the help of the Pocket Mode that I received! I’m currently studying Wildlife and Media at University, and this year I have an ‘Expedition Planning’ module. I have to create my own expedition (well, in a group!) and plan all the travel, accommodation, funding and subject matter as part of my work. I will be using this project to get my travel planning underway, so let’s get to it! The pocket Mode is a lovely little binder! I have never used a pocket before, so I was looking forward to getting it. The colour is a vibrant red, with a grey rubber band to keep it closed. The Mode feels a little plasticky, but it isn’t a horrible feel! I really like it. I think this binder will work well for my expedition, as I will be taking it with me on the trip and I believe it will hold up pretty well. I’m sure it could take a bit of battering without breaking or getting ruined! 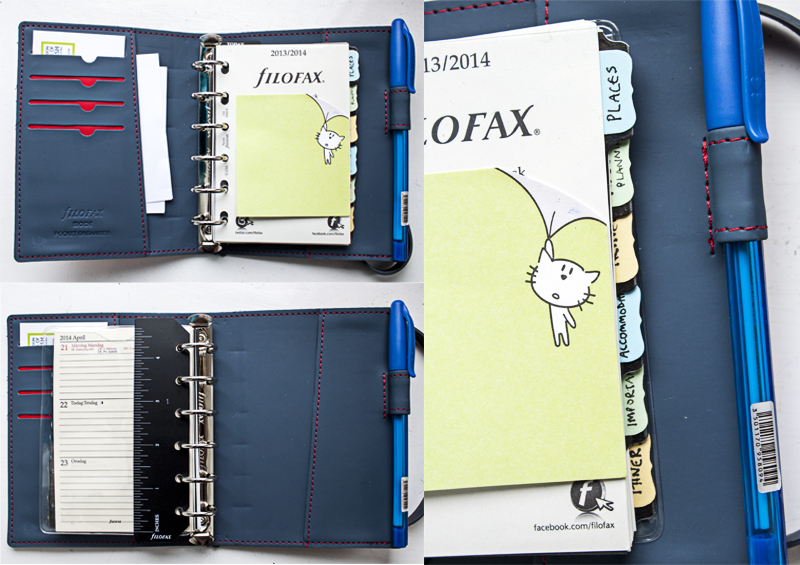 I got plenty of different papers in the Filofax, as well as a diary, wallet, ruler and some dividers. My first tab is ‘Places’. This currently contains the world map that I received with the Filofax, and some notepaper. In here I will be jotting down notes about the places that we discover and may want to visit, in order to get a good sample of ideas. The next tab is ‘Video Planning’ and this is where I will plan the actual project. We are planning an expedition, but the end result of that is to create a film about the place or something in particular when we are there. This section will be constantly updated with random ideas, and I will probably still be using it when we’re there! After that I have my ‘Travel’ section, and this is where I will organise our flights/train/bus journeys etc. The ‘Important’ section is there to hold all our important information. Emergency contacts, passport details and things like that – always a good thing to have written down! My last section is ‘Itinerary’ and this will only be used nearer to the time, and whilst we are there. 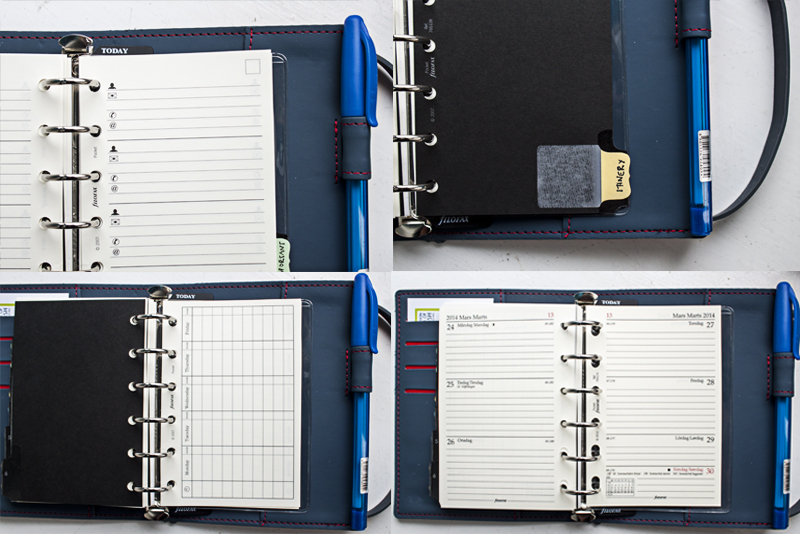 It holds a timetable, and also diary pages for that time period. Here I can just note down what we have planned on each day so it’s easy to see at a glance. This makes it easier to remember any reservations that we make!